Hard to summarize this week for FFM-ville because so much is still to come from the KC-LAR game tonight. It’s looks like a good week for wins around the universe, but not a great week (Trubisky-Cohen duds weighed down a bit as did James Conner’s nothingness). If there is an explosion above and beyond tonight it could be a great week…if something tragic happens it could be a 50-50 week or worse. So much riding on the guys tonight. -- I guess were back to the Jameis (12-16 for 199 yards, 2 TDs/1 INT) or Fitzpatrick (13-21 for 167 yards, 0 TDs/3 INTs) debate? Dirk Koetter’s parting gift to the organization about to fire him…Jameis in a game, gets hurt, costs the team $19M guaranteed next season. It’s such bad business to have Winston active to put the organization’s payroll at risk, but as I say all the time – NFL teams are the worst run businesses in all of business-dom. I really don’t know which one will start next week…my guess is Winston. It really doesn’t matter for FF at this point. -- Evan Engram (2-66-0/2) might as well not even suit up because he not getting looks or designed plays or anything. He’s a TE2 once the BYE weeks end. I toss in the towel if I have anything more interesting to work with (Doyle, Hooper, Njoku, et al. ), but EE is just as randomly 4-40-0 as the next TE pretender…with the upside hope that he pops one. -- Peyton Barber (18-106-1, 2-4-0/2) continues to look really good, but you cannot count on him for FF because Tampa Bay abandons their run game at the drop of a hat. He’s still an RB2.5 with hopes of games like this popping up. -- Amari Cooper’s (3-36-0/5) three games with Dallas: 4.7 rec. (7.7 targets), 56.3 yards, 0.33 TDs per game. Not all that exciting. -- The Dallas-DST has pulled the team back into contention – back-to-back road games holding good opponents to 20 or fewer points (PHI-ATL). Thanksgiving vs. Colt McCoy with a crushed O-Line…Dallas will work nicely. -- My Austin Hooper (4-27-0/8) hopes of becoming a burgeoning Zach Ertz happening…not a step ahead on that theory this week, but not a step behind either. He had 8 targets, 2nd most on the team and 4 catches is a respectable tally. I still want in on this story in PPR where I’m dying at TE. -- Curtis Samuel (5-55-1/7) had a spectacular TD catch on a high throw in the end zone. I’m telling you…there’s a chance he becomes a starter/main target type guy and changes fantasy fortunes soon. OR not…or they just keep going with using him sparingly like the totally out-to-lunch offensive coordinator Norv Turner typically does everywhere he goes – is blind to the playmaking/TD producers who weren’t supposed to be ‘this good’. -- Rookie UDFA WR Brandon Powell, who we’ve been tracking to see if he was going to get a real shot – well, he was inactive and signed-two-weeks-ago Bruce Ellington (6-52-0/9) saw nine targets in his first game action as a Lion. I guess that tells us how excited Matt Patricia is by his prospects. -- Ellington is probably going to matter ahead, but Kenny Golladay (8-113-1/14) could become a star ahead…because I believe Marvin Jones will be out for weeks/possibly done for the season. -- The sleeper Donte Moncrief (1-11-0/2) story? This game is why you can’t ever trust a heating up Jags’ WR…1 catch for 11 yards on 2 targets. With BYE weeks, essentially, over…Moncrief can go back to waivers if you were using him this week in an emergency. -- Two weeks in a row with a TD for Vance McDonald (3-27-1/6)…it’s something in the sea of TE despair. -- Lost in the surreal-ness of this game…the Steelers-DST. They’ve held six straight opponents to 21 or fewer points. 16 points for the Jags here, and 6 sacks by the Steelers-D.
DEN-LAC-OAK the next 3 weeks…I think you can use them that whole stretch. I don’t know that Week 15 vs. NE is a big issue either, but I’d find something else for such an important FF-week. -- Colt McCoy (6-12 for 54 yards, 1 TD/0 INT) will be the Redskins QB going forward. Not a huge drop-off from Alex Smith, but he’s more turnover prone…so, Washington becomes a target for opposing DSTs. -- I’m telling you…there’s something about Keke Coutee (5-77-0/9) – he’s a true ‘they really like this kid’. I mean, they LOVE him. Comes right back from weeks out…leads the team in targets with 9. He’s a strong PPR WR2 candidate the ROS. -- The Mo Harris (1-13-0/4) fake uprising story in fantasy…derailed here. Finally, hopefully. -- Marlon Mack (16-61-1, 1-8-0/2) was lucky, for fantasy, here. His TD came after another player fell short of the score to create the opportunity, but worse than that was that Nyheim Hines (5-14-0, 1-20-0/3) was acting like the #1 RB or the co-#1 RB when this game mattered. It wasn’t until this game was out of hand that Mack was getting a bunch of ‘run the clock out’ carries. Really bad optics for Mack in this game…he did not look like ‘the guy’ here. Beware ahead…maybe…not sure what Indy was doing at BR here. My fear is Frank Reich goes full Doug Pederson RBBC at some point. -- We talked about the Jonnu Smith (6-44-0/8) uprising last week, and ‘wow’…look at this – a team high 6 catches/8 targets. If Marcus Mariota is OK, Smith might pull himself into the TE1 discussions this week/ahead. -- I’m starting to buy into Dontrelle Inman (4-34-1/6) as a WR3 option/legit Colts #2 WR for the Colts. The Colts offense is really working…and Inman may go with them as a WR3 fantasy producer from here. -- Gus Edwards (17-115-0) rushing for 100+ yards in a game is a total sign of how truly terrible the Bengals defense has become. I’m shocked this could happen with hue Jackson helping on defense? Possibly the worst defense in the NFL aside from Oakland. No, Gus isn’t a thing going forward. -- It’s probably 85/15 that Lamar Jackson (13-19 for 150 yards, 0 TD/1 INT, 27-117-0) is the starting QB next week. He might track as a QB2 in most matchups but against Oakland in Week 12 – he’s a QB1 for sure. -- I keep waiting for big plays from John Ross (2-27-1/7)…they haven’t materialized, BUT he is getting TDs – a TD in his two games since returning from injury. A TD in three of his last 4 games played. -- Doug Martin (10-52-0, 1-6-0/1) was running fine and then all the sudden the Raiders went all Jalen Richard (11-61-0, 3-32-0/4) in the 2nd-half with no known reason why. If there’s anything remotely interesting on waivers…just quit these Raiders’ RBs. -- I’ll say it again -- Christian Kirk (3-77-1/4) is maybe the best ‘ready-to-go’ rookie WR I’ve ever seen. He works like a Pro Bowl WR right out of the box…but he’s got this terrible offense to work with causing problems to him having any consistency. -- The big David Johnson (25-137-0, 1-17-0/3) push in the passing game that was getting the Cardinals offense going…1 catch on 3 targets. No purpose at all. NFL teams/coaches, by and large, are who they are. They don’t change. Assume they stick with their patterns…Steve Wilks wants to run up the middle all game, and that’s what they did…and lost…and broke me by betting on them. -- I mean, I guess Josh Adams (7-53-1, 3-19-0/6) got more touches? Just 7 carries but that was 70% of the backfield tally. The 6 targets were nice to see. This game was so out-of-whack that all the normal flow and planning went out the window. The good news is that Adams was used as ‘the guy’/in the game as the lead guy. There wasn’t as much rotating as usual. Adams’ arrow points north. -- After 50+ snaps with no targets last week, Tre’Quan Smith (10-157-1/13) was used as the lead punch as the Eagles lost more corners in the game. I wouldn’t trust Tre’Quan ahead, but he offers WR3 hopes. Last week, he was getting dropped, this week everyone will pile back in. The truth lies somewhere in-between. -- The hidden story of the Saints nine game win-streak…their defense. Five of their last 7 games holding their opponent to 20 points or less. This is not the pushover defense from Weeks 1-3…their DST is useful in favorable matchups and opponents’ weapons are not ‘going off’ on them – Carson Wentz (19-33 for 156 yards, 0 TD/3 INTs) can attest to that. -- Phillip Lindsay (11-79-2, 4-27-0/4) continues his amazing pace. Ride it while you can. I’d be a seller, in dynasty, if you can get RB1 value for him. He’s not a dump/bust ahead…he’s just getting way overvalued and you might cash in huge right now. He’s too small to be a lead RB. He can be an Alvin Kamara-lite, but no one really uses their unique RBs like an Alvin Kamara type…except the Saints. -- Another spot where Tyrell Williams (2-22-0/6) should have had a big game, and he didn’t. He cannot be trusted for fantasy. He’s a WR3-3.5 once we get past the BYE weeks. -- Two games in-a-row where Jatavis Brown (8 tackles, 1 PD) was the main middle linebacker, and his 2nd game in a row leading the team in tackles. He’s a wonderful IDP asset when he’s starting. -- This is what I feared for Allen Robinson (3-39-0/7)…Xavier Rhodes shutting him down. It’s not a crime and it’s probably the last real fear for ARob this season. -- Watching this CHI-DST against a solid MIN offense…they’re probably a strong enough start vs. Green Bay Week 15, especially if the Packers are out of the race/full falling apart by then. Only Week 14 is an FF-fear for the CHI-DST…hosting the Rams. AND if that’s in frigid temps…maybe not that bad. Still, there has to be better plays(?) streaming DSTs. -- Dalvin Cook (9-12-0, 3-0-0/3) had that untouched 70-yard run last week vs. Detroit…and in his other 54 carries this season, he has 129 yards rushing…or 2.58 yards per carry. One of the reasons the Bears won, and the Vikings are potentially not making the playoffs – the adherence/main carry push to a very limited-talent Dalvin Cook. How do you value him for FF going forward? RB3 in 2018? 1) Zach Ertz, PHI – 2 catches for 15 yards, no TDs, and just 3 targets this week. You have no hope of getting him…or do you? People tend to undervalue their TEs and focus too much on their RBs…and people tend to put too much stock in what just happened. Do you have a TE name you can put with an RB name (on the ‘sell high’ side) to get Ertz or Ertz+, and solve your TE woes? 2) Nick Chubb, CLE – I’ve gone from Chubb is a problem/the worst (early in the season) to here he is on the buy low list…what a journey. a) He looks way better now than he did this preseason and early regular season. Way better. This recent rise PLUS before his ACL, in college, he was an awesome power runner between the tackles. If he’s getting back to that then look-out. b) Especially long-term…you want the RB tied to the elite QBs – Mahomes/Hunt, Goff/Gurley, Brees/Kamara…coming soon/now – Mayfield/Chubb. He’s the definite franchise RB for them, so time to get in. How can you trade for him? Easy…use the RB names I have listed in the next section (sell high) as part of a multiplayer deal. It’s a bad time to buy (great game last week), but if you have the right RB du jour name to offset in a deal…maybe, just maybe. 3) Allen Robinson, CHI – Now, it can be said his 2 TD game two games ago was a fluke…a distant memory replaced in his current owner’s mind by a nothing game on national TV this week. Xavier Rhodes shutting him down is no excuse for current owners…they saw ‘nothing’ on national TV, so now they ‘know’. Take advantage because he has potential WR1 in his future ahead…especially in non-PPR. You can buy for a WR2 valuation mixed into a multiplayer deal from some owners worried Trubisky kills ARob’s hopes. 4) Austin Hooper, ATL – In three of his last 6 games, Hooper has 9 or more catches in a game. That’s not to be blown off so easily. After Ertz-Kelce, everyone is dying at TE. We’re looking for signs of a savior…Hooper has the strongest signs of being the TE messiah right now. It might not work, but many of us are in chase mode and with his subdued game this week…the price is down, as most people (even current owners) don’t believe in him. 5) Mitchell Trubisky, CHI – Had a so-so game on national television this current week…which confirmed all the football analysts ‘scouting’ that Trubisky is a bad/unworthy QB. The Bears won and Trubisky played fine, not his best game, but he was fine – yet, the analysts need to confirm themselves. The narrative is the Bears won despite Trubisky. Rotoworld said he was just checking down and is a QB2 next week. Really? The #1 QB in fantasy the prior 6 weeks or so has a so-so game against Minnesota and he’s a QB2 next week. All this happened to Jared Goff last year and it carried over into this past offseason – more proof THEY don’t know what the hell they are talking about. One of the last times of 2018 where Trubisky goes on sale…because the media pounded him all week leading up, he delivered a ‘meh’ night on national TV, and they’ll batter him for it until Thanksgiving. Good ‘buy’ in for redraft if he’s an upgrade…but I write this more for dynasty. Change your dynasty future this week making this deal. Even if you don’t need him for your future…you can buy pretty low now and sell high later. 1) Marlon Mack, IND – I’m rattled by the last two weeks…it’s been a reminder of just how not-special Mack is. He’s solid, but his hot couple games a few weeks ago raised his profile over his skis. Most jarring, this week, was seeing Nyheim Hines in the game early and taking equal (or better) billing. Mack isn’t getting good PPR looks. He’s got Hines creeping around. He’s a ‘C’ talent as a lead RB. He’s a solid RB2 week-to-week, that you might be able to sell as an RB1.5 in a multi-player deal. 2) Tre’Quan Smith, NO – Before this week 3-3-2-0 catches and 44-18-23-0 yards in his last 4 games. This week he explodes for 150+ yards and a TD. I didn’t see any ‘magic’, I just saw a guy open in a blowout against a depleted secondary, who was getting work later in the blowout not early on the normal game planning. You’ve been given a great window to move him as a WR2…take advantage if you can, because he’s more WR3. 3) Aaron Jones, GB – Aaron Jones tends to do this…have moments, get everyone up in arms and then a few weeks later we’re all like ‘what happened to Aaron Jones?’. He’s not a legit lead RB. He’s not the #1 RB of the future. It’s working now, so ride it…or try to get out at the peak with him valued near an RB1 right now…redraft and dynasty. If you only get RB2 money…keep him. But there are people out there that have been led to believe Jones is the RB savior and the messiah has arrived, finally. Some people see a white hot RB1 here, if you want to trade it hot here’s your chance. 4) Sony Michel, NE – BYE weeks are over, mostly, this week. Plenty of RBs roaming around. Michel has ‘name’ appeal but comes with the fear of not used in the passing game and Rex Burkhead whispers. He’s a solid RB2-2.5 prospect in PPR, but some see him as an RB1.5. 5) Phillip Lindsay, DEN – *In Dynasty Only* He’s playing fantastic ball. No RB has more wide-open holes to run through and Lindsay is taking advantage. He’s going to work fine this season. However, it makes not sense a 190 +/- pound RB is going to be the long-term lead RB for the Broncos. That being said…if people see him as an RB1, I’d engage him in trade. Look at this top 5 above – it’s trying to take advantage of things people (over) love/worry about…they worry about their RBs incessantly and the LOVE rookies, especially rookie RBs. Everyone is looking for an RB utopia…sell it to them but make them bleed for it. 1) Keke Coutee, HOU – I expanded on this in the Sunday Video Q&A – I have no heard so much external (the national analysts/reporters) and internal (my sources) chatter on a player in a long time. Usually, it’s one or the other. When everyone is on the same page AND the data is showing the same – it’s time to act. He seems like the center of the Texans’ universe outside of DeAndre Hopkins. I will expand on this more in my game HOU-WSH coverage hitting today-tomorrow morning. 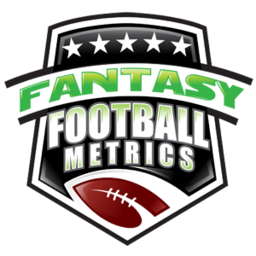 2) Josh Adams, PHI – Still under 50% ownership universally in fantasy, but many of you have already pounced. If you’ve been watching the Eagles games the past 2-4 weeks, you are seeing Adams emerge into what I prophesied pre-NFL Draft. He’s not just ‘good’ and getting more touches – he’s fantastic and trying to get more carries. The Eagles freefall may bring on ‘heavy’ Adams ahead…and if so…that’s an RB1 hopeful, folks. 3) Baker Mayfield, CLE – Goff/Mahomes BYE issues? He faces the worst defense in football Week 12 (CIN). Best 6pts per pass TD Week 12 fill-in. Playing so well since the coaching change. Facing Hue Week 12 is even more delicious. ‍4) Jameis Winston, TB – Your next best alternative to Mayfield as a BYE week fill-in…hoping for junk-time against the 49ers. 5) Lamar Jackson, BAL – Possibly your best QB bye week option in 4pts per pass TD leagues. He’ll go for 100+ rushing against Oakland this week (if Flacco not back) and you hope he puts a rushing TD and a pass TD in there too. 6) Curtis Samuel, CAR – I’m going to keep saying this, hoping it comes true someday…Curtis Samuel is the best WR talent on the Panthers and it’s not even close. He’s one of the most uniquely talented weapons in the NFL. If the Panthers give into this and start him/push him…he’ll be a superstar for fantasy. Whether they will or not is the question. This guy cannot stop making surreal plays and scoring TDs…perhaps, Norv might notice one of these weeks. Probably not…they’ll probably jam Torrey Smith back in limping before featuring Samuel. But if Samuel ever does get the chance…to the moon!! 1) Gus Edwards, BAL – The Bengals are embarrassing/the worst run defense in the NFL. Gus Edwards is a very limited RB talent…very limited…like ‘I can’t believe this guy is on an NFL roster’ type of talent. The clock is ticking on this story. He’s a rookie that ran for 100+ yards, so he will be EVERYONE’S must own from free agency list – get him off waivers if it doesn’t cost you too much BUT do so only to trade within 24 hours. Flip him as an RB2 or whatever you can get adding him into a deal. This is not a thing because of Lamar Jackson or whatever. Now, he might work against Oakland Week 12…but then it’s time to fly away. I’d sell immediately. 2) Tre’Quan Smith, NO – Another ‘get to sell off’ guy. Huge game this week in the 2nd-half of a blowout. The prior week, 50 snaps and zero targets. Don’t trust non-Thomas/Kamara things on the Saints’ passing game. They signed Brandon Marshall for a reason (and Dez before that). 3) LeGarrette Blount, DET – If Kerryon Johnson is hurt, everyone will pile in here. Everyone forgets…the Lions line is collapsed, Kerryon only matters because Blount (the original starter) was so bad, and the Lions face the Bears this week – so Blount is going nowhere/Blount is near washed up. ‍‍‍4) Jonnu Smith, TEN – You will want to go here in times of TE desperation, I get it. I do to. If Marcus Mariota was clean, I’m in. However, I believe Mariota will be out and that is a problem for Smith paired with Matt Cassel (or anything paired to Matt Cassel). If we get ‘good news’ on Mariota for Week 12…Jonnu is good/interesting. No Mariota, no Jonnu…yet. 5) Seth Roberts/Marcel Ateman, OAK – LaFell-Jordy hurt. Someone has to get targets, right? Roberts is terrible and Ateman was not on the same page with Carr against Arizona (which, he just got promoted so it’s not surprising). Perhaps, if these guys had an easy matchup they’d be ‘deep sleeper’ pickups. But, facing the Ravens Week 12…no, thanks. 1) Elijah McGuire, NYJ – I’m not a huge fan, but I could see a move coming where he’s the lead for the Jets down the stretch and gives you RB2 type numbers. He’s not bad and the Jets need to see what he can do before they spend $100M+ on Le’Veon Bell next offseason. 2) Jake Kumerow, GB – Could be activated this week. Played fantastic in the preseason. Rodgers might insist he become the #2 WR with Cobb in the slot and #1 Adams…and MSV and ESB to the #4-5 role. Kumerow as the #2 + Rodgers = fantasy WR2 out of nowhere. The risk is they don’t pull the trigger on it/drag their feet and it takes weeks to happen. First, we need to see if they activate him (I think they will). 3) Dontrelle Inman, IND – The #2 WR on a high-functioning offense. Talking with more contacts – he is the real #2 WR for Luck and the coaches. They’re on-board/thrilled with Inman. ‍4) Bruce Ellington, DET – Ellington, not Brandon Powell, apparently, is the new Golden Tate…and that matters if Marvin Jones is going down. Sneaky WR2.5 in PPR potential here if Jones is out/done. 5) Jaylen Samuels, PIT –He’s the James Conner handcuff for those in need. 6) Zach Zenner, DET – Just like last week when he was on here…Kerryon has been ‘hurt’ in every game the past few weeks, but then gets it together to play. What if Kerryon gets shut down for his own good? LeGarrette Blount is a stiff. Zenner may actually get a shot. 1) Mike Davis, SEA – From the perspective of Chris Carson being hurt worse than let on a few weeks ago and thinking he might go on I.R., but…CC is back. Rashaad Penny is happening. Davis is just a part of the rotation…not a sneaky RB1 that might fall into your lap due to roster issues above him. 2) Jimmy Graham, GB – I don’t care if he comes back ahead of schedule for Weeks 15-16 (which I don’t think he will) – he blows. You gotta have better options at TE, no? 3) Ty Montgomery, BAL – Well, Alex Collins was an easy take-out target for a Ravens RB…it’s just it was Gus Edwards, not Montgomery. ‍‍‍‍4) C.J. Uzomah, CIN – Has hardly shown a sign of being a plausible low-end TE1 in our great TE time of need. Now, that the BYEs are ending…no need for him. 5) Golden Tate, PHI and Demaryius Thomas, HOU – the traded at the deadline WR guys have landed with a thud in their new places of employ. I couldn’t find a #5 for my list and then I was thinking about these two, so I thought they warranted consideration. Tate might have WR3 moments, but DT looks dead in Houston with Coutee back. ‍1) Chiefs-DST – They had two Pro Bowl level defenders return Week 10 (Houston and Sorensen) with Eric Berry still due back – this defense has been getting better every week. Tyreek Hill returning punts is a nice bonus. The offense whacking opponents allows the KC D to tee off on sacks and INTs. Are potentially on waivers because of LAR-BYE Weeks 11-12. 2) Steelers-DST – Playing great of late and DEN-LAC-OAK Weeks 11-14 looks better and better. The good games ahead are on the road…one of them (OAK) before the NE week is a distraction concern. Weeks 15-16 NE-NO is no good, but that NE game might not be as terrible as we’d think. 3) Titans-DST – NYJ, JAX, @NYG, WAS Weeks 13-16 is a real nice stretch during the FF playoffs – three home games among them. Good IF Mariota is at QB, tumbles if Cassel at QB. 4) Texans-DST -- TEN-CLE-IND-NYJ through Week 15. The defense is nothing that special, but the schedule is not bad. Especially if TEN has to go Matt Cassel this week. Mariota is back for Week 12…then drop them 3-4 spots on this list. 5) Broncos-DST – FF-playoff option…Weeks 14-16 = at SF, CLE, at OAK. Not bad at all. Might be out of the race and quitting by then is the problem. 6) Patriots-DST – Beautiful every other week after Week 11. Week 12 vs. NYJ. Weeks 13-14, MIN-MIA. Weeks 15-16, PIT-BUF. One to pair with like a SEA-DST to take advantage of the NYJ, MIA, and BUF matchups. 7) Seahawks-DST – For down the road…SF Week 13, and at SF Week 15. Match them up with another for Weeks 14 and 16 for the playoff run. DEN, NE, WAS, KC, IND are options to pair with. 8) Colts-DST – The stats are decent, but the performance is erratic. The schedule remains great, but they’ve become just another dart throw. They’ve been better at home. Upcoming: MIA, @JAC, @HOU, DAL, NYG. Might could use them from Week 12 on…or not? 10) Jags-DST – If anyone dumps out this defense out of frustration, and you’re looking ahead to the playoffs…@TEN-WAS-@MIA Weeks 14-16, if they are still in the race. Plus, maybe they flip a switch ahead? They do not look good right now, but they’ve been missing A.J. Bouye of late…he should return soon.